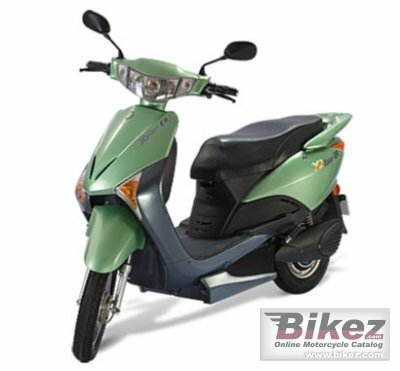 2011 YObykes Xplor ER. Picture credits - YObykes. Submit more pictures. The bike which offers the maximum range is here. Electrical: 33 Ah VRLA battery. Carrying capacity: Max payload 75 kg. Comments: Range 105-110 km. 6-8 hours charging time. Also available with a 24 Ah battery giving a range of 75-80 km. Sold in India. Ask questions Join the 11 YObykes Xplor ER discussion group or the general YObykes discussion group. Bikez has discussion forums for every moped. View comments, questions and answers at the 2011 YObykes Xplor ER discussion group. You can sign up for e-mail notifications when other riders answer you. If you have extensive experience with the MC, please send us a review. If you consider buying this bike, you should view the list of related motorbikes Look at photos. Compare technical specs. And check out the rating of the moped's engine performance, reliability, repair costs, etc. You can compare the rating with other bikes.